These beautiful hardcover watercolor journals are made in Italy and hold 30 sheets of acid-free, FSC certified paper. Internally and externally sized, with 25% cotton content. 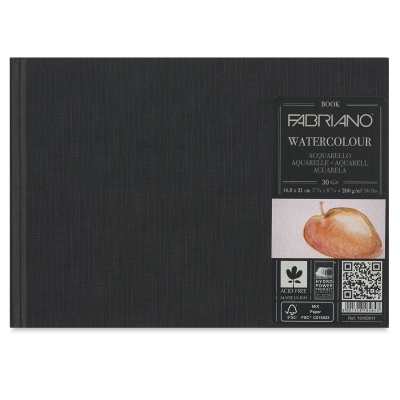 Sewn bindings allow Fabriano Hardcover Watercolor Journals to lie flat for wide landscapes.